I needed a change of scenery in order to re-create for awhile and renew my heart and mind. Decided to take a winter vacation for a few days in Arizona. This is my first trip ever to Arizona and to see one of the wonders of God’s world: the Grand Canyon. 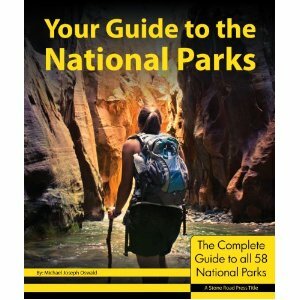 It is a photo-safari to America’s great southwest. 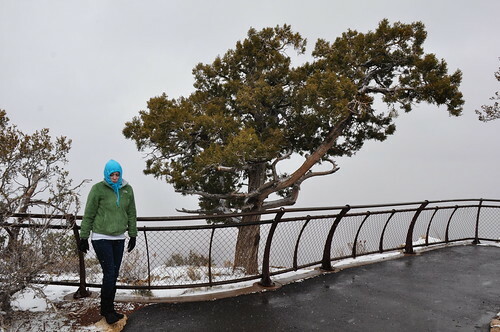 While my soul feasted on the Grand Canyon, my body told me the weather was still very much winter. 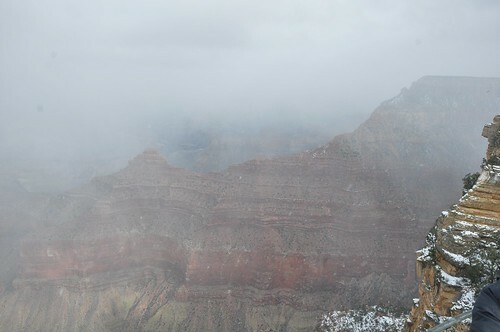 Daughter Julie, was less than excited about the snow and heavy fog blanketing the Canyon. 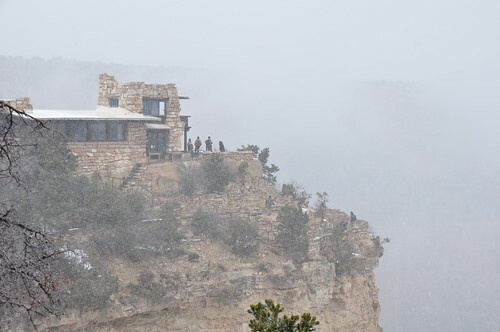 It is beautiful, and not as many people visit the Grand Canyon in the winter, and so fewer people see it with snow. In fact, the snow and cold can make it hard to see: on our first day in the park, the ranger at the entrance gate told us there was zero visibility. Fortunately, we were not completely blinded by this fact. 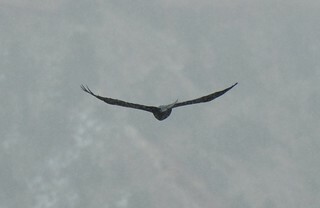 The great thing about a camera is it always finds something to picture. 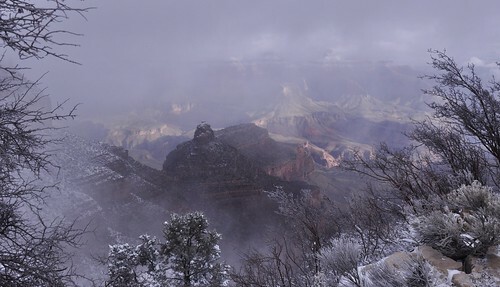 Of course to add to the special effects, overnight 4 more inches of snow fell, and it seemed like we would have very limited views of the Canyon. We went on a sunrise tour to see that much vaunted Arizona sun. The sunrise, however, was completely obscured (not to mention the air was freezing cold which both fingers and toes noted, and the heart was feeling kind of cold in the absence of any sun). But then, as the morning wore on, quite surprisingly, the fog began to disperse. 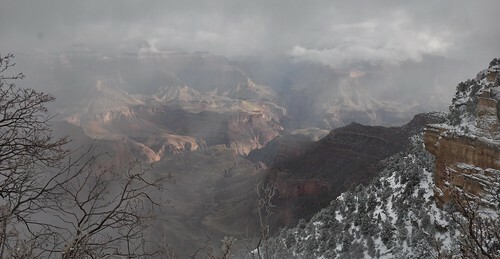 The Canyon became more visible. 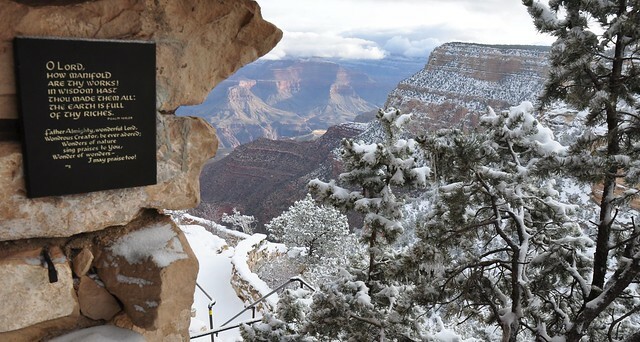 The glories of the Grand Canyon were revealed – they were of course always there, even if not visible to us. The transfiguration took place as our eyes began to see the reality hidden in the mist. 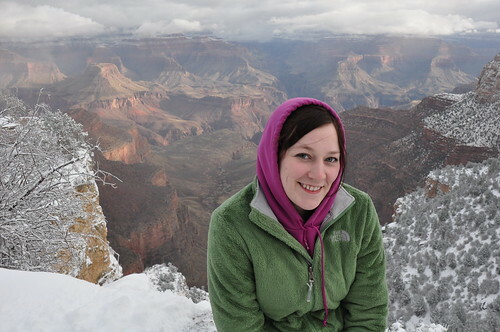 The wonderful, awesome Grand Canyon now revealed made us all a lot more joyous. Julie and I both had reason to smile. 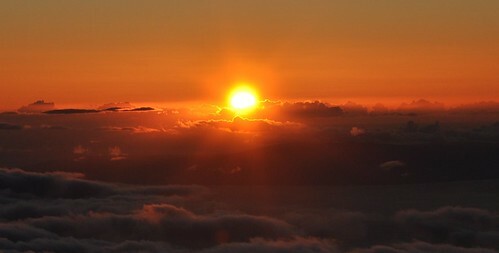 Even if the temperature went up only a few degrees, the heart was warmed by what the eyes could see. 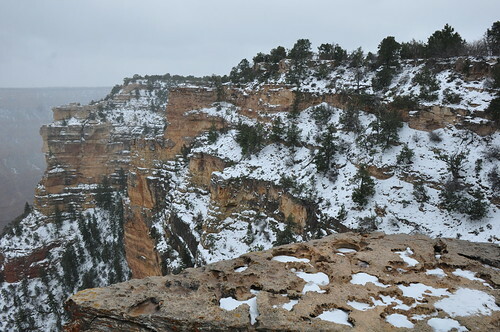 You can view all the photos I took at the snowy Grand Canyon at Grand Canyon 2014. 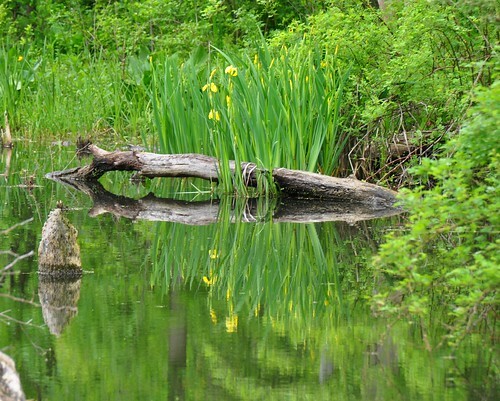 You can see a list of all of my photo-blogs with links to them at My PhotoBlogs. You can see another of my Arizona blogs at The Desert Blossoms.